Every year, September 11th brings back memories for all of us. We all remember that day. However, most of our students were not even born before 9/11/01. So, as a classroom teacher…Do you mention anything? Do you teach like any other day? I think it depends on the school environment you are in. My school usually plays a memorial video and has a moment of silence for Patriot Day. I enjoy reading the book The Man Who Walked Between the Towers during the week of September 11. It is a positive way to remember the day without showing graphics to young children. My students are always so engaged as we read the book because they cannot believe that someone would walk on a wire THAT high in the air! 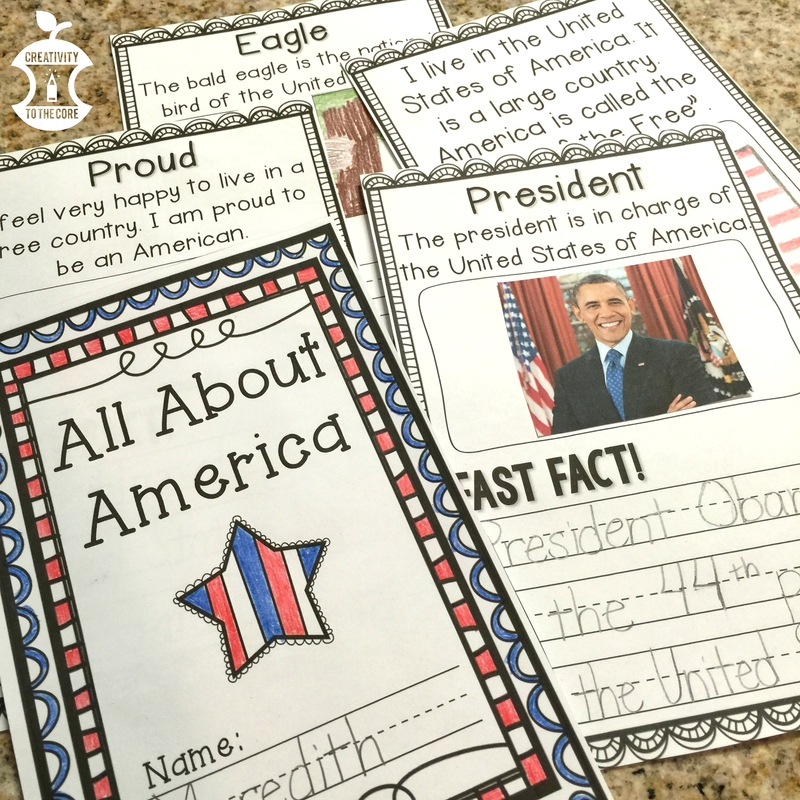 I also teach about America, American symbols, and citizenship during this week. I feel that this helps us pay tribute to our nation and all those who’s lives were changed on September 11th. One of my favorite activities is this All About America mini book. It is easy to complete in a few days, or you can complete one page each day as you take time to focus on each part. 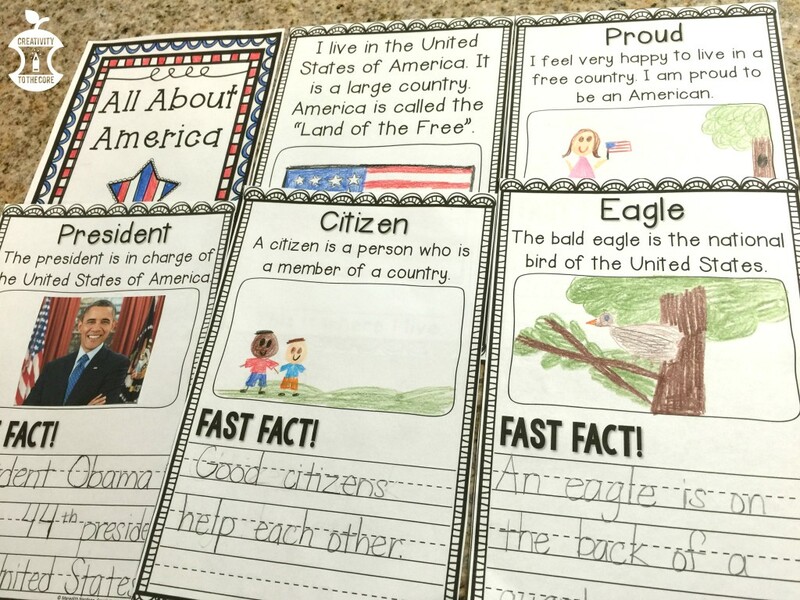 Students color a picture (or find one online and glue it in) and write a Fast Fact on every page. I enjoy using this mini book to integrate social studies into my small reading groups. Sometimes, I also give students research time to find their own fast facts online or in books. You could even create these as vocabulary readers. Keep a few in your classroom library so that kids can read them during Read to Self throughout the year. If you would like try it out with your students, you can grab it here for free! Enjoy! 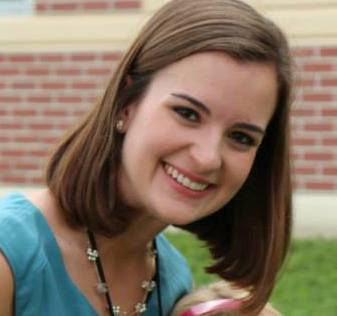 I'm Meredith, a South Florida teacher who loves coffee and creating. Need labels for your classroom next year? These now have an editable field if you would like different wording or a different language posted. Be sure to re-download if you already own them. :) Enjoy!